THE BATTLE OF THE SHUCKERS WAS ON! If you weren't able to join us last Sunday at the Boston Seafood Festival, you missed some crazy action. 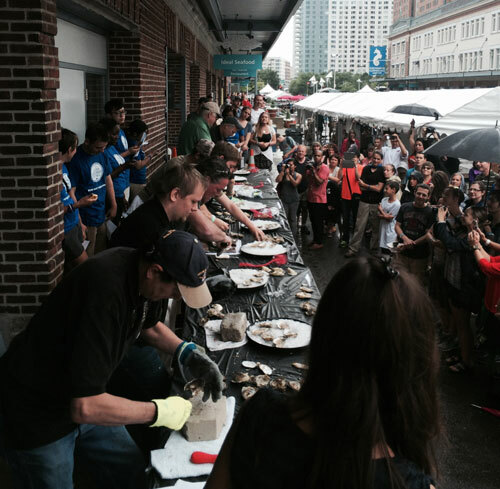 Despite the rain and thunderstorms, the shuckers showed up, ready for action with their shucking knives and competitive spirit to vie for $500, $250, and $100. 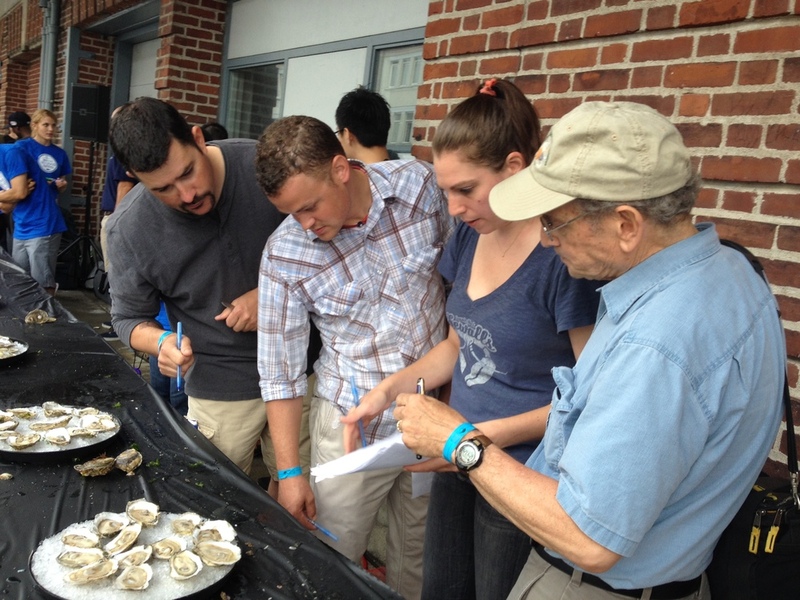 Judges taking a good look at the competition oysters. From left: Dan Enos (Oceanaire), Stephen Oxaal (B&G Oysters), Nicki Hobson (Island Creek Oyster Bar), and Richard Rush (Oyster Information). Look at the gathering crowd! Guess now we know where to expect beautifully shucked oysters in Boston! Thanks to everyone who came out to shuck, judge, volunteer, and spectate! Special thanks to Kria Sakakeeny for her awesome emcee'ing and Boston Fisheries Foundation for sponsoring the prizes. Keep Calm and Shuck On!